River Island MCR Relaunch + Giveaway! River Island have been working on expanding their intu Trafford Centre store in Manchester to make room for their even bigger womenswear, footwear, menswear and kidswear departments. To celebrate the launch of the new store on Tuesday 20th October, River Island will be hosting live DJs and giving away lots of goodies on the day and over the weekend. There will also be up to £500 to win in competitions, as well as a special gift & Boost smoothie for customers spending over £30 on womenswear and menswear, or over £20 on kidswear. If you’re in Manchester on the 20th October or over the following weekend, make sure to head down! Their A/W 2015 offering is really on point this year, trust me. Win a £100 Gift Card! Can’t make it down to the new store? 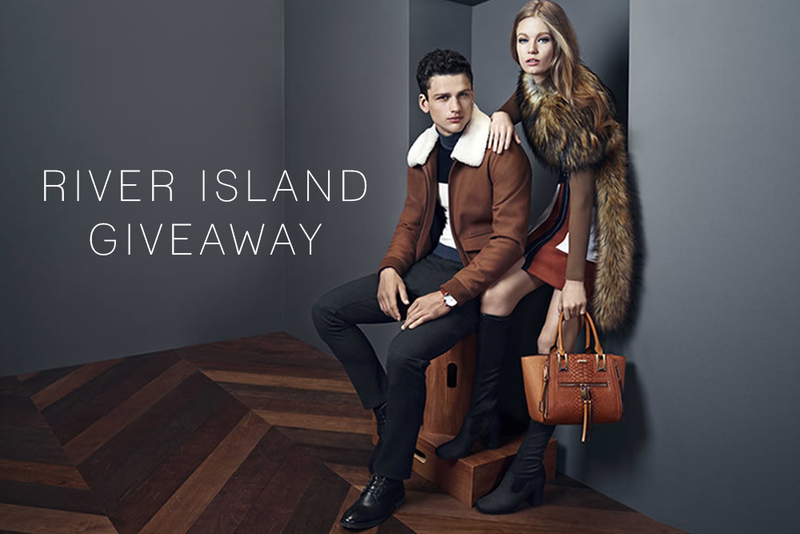 Don’t worry, as the lovely folks at River Island are offering one of my lucky readers the chance to win a £100 gift card. It can be spent online or in-store on absolutely anything you fancy, whether that’s a cosy roll neck jumper for yourself or an on-trend bomber jacket for your other half. Please use the Rafflecopter app below to enter. It’s all very simple! What would you buy with a £100 gift card at River Island?